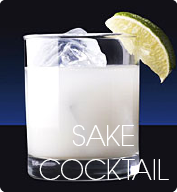 A fun blend of premium ginjo sake and lush, all natural creamy coconut and tangy lemongrass infused flavors. A pleasant balance of crisp ginjo sake with a hint of dryness in the finish and an aromatic, fresh and lightly sweet pear flavor. Amber color. Combination of sweet taste which reminds brown sugar and elegant citrus sour. A refreshingly fruity aroma with a crisp, dry taste is the brilliance of this Daiginjo sake. Dry, bold, refreshing, hint of toasted rice and ripe banana on palate. Finishes creamy and smooth. 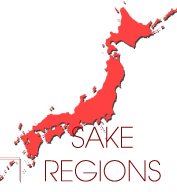 Named after greatest shogunate, is finest sake with perfect harmony of sweet aroma and rich deep flavor. Made from Dewa sansan rice, which owned and operated by this brewery themselves. Refined sweetness of Onshu mandarin oranges and subtle bitterness of its skins mix up nicely. This golden colored sake has been aged throughout days and months. Very round and rich aroma. Refreshing aroma of citrus fruit, Yuzu orange extends comfortably with soft acidity. 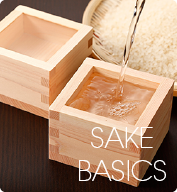 Well balanced aroma & flavor, which the umami essence of the NINKI sake is precisely featured. Sophisticated fruity aroma and crisp dry flavor. Fruit fragrances such as lychee, and jasmine flower. Sweet flavor harmonizes nicely with a tart flavor. Rich, fruity aroma and clear delicate taste. Sake with delicate taste, aroma of ripe fruits, brewed in limited quantity. No.1 Daiginjo Sake of the brewery. Aged for about two years for more flavor. 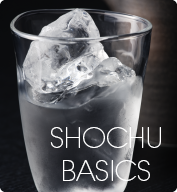 Mild, slightly dry Sake with refreshing aroma and a hint of mint flavor. Well rounded, subtle fragrances of fresh cream and coconut milk. Rich sweetness and dry. Dry and gentle Sake with refreshing bitterness.